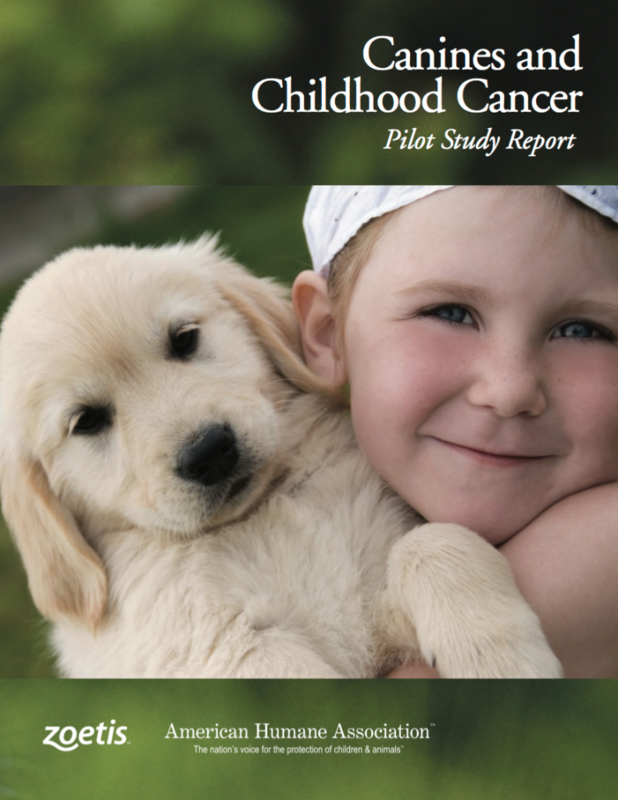 The Pfizer Foundation and Zoetis have sponsored American Humane in developing and executing an innovative research study – the Canines and Childhood Cancer (CCC) Study – to investigate the impact of animalassisted therapy (AAT) on pediatric oncology patients, their families, and the therapy dogs who visit them. The goals of this collaboration are to promote innovation, evidence-based research, practice improvements and knowledge advancement to further the field of research on humananimal interactions and the treatment of cancer in children. Ultimately, a better understanding of the effects of AAT on pediatric oncology patients will enhance treatment for children with cancer and their families. In collaboration with both children’s hospitals and universities across the country, American Humane and Zoetis have completed a comprehensive needs assessment and have piloted a research study to inform the design and implementation of a full clinical trial scheduled to begin in late 2013. This report outlines the findings and lessons learned from the pilot study.